Whether you're new to the cleaning industry or you're looking to grow your business, I'm sure you have questions. Here's a quick view into the common questions we get. Need more help? Use the form I created just for you - ask before you invest in any products to make sure you are buying from someone who has actually done what you want to do. How is My Purchase Delivered? How do I Know Your Site is Secure? What’s the First Step to Using Information on Your Website? 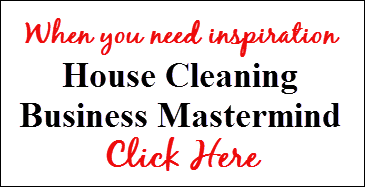 Haven’t Started Your Cleaning Business Yet? 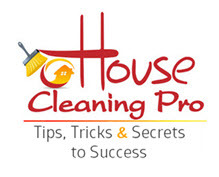 Signup for my FREE guide on what you NEED to know to start a successful house cleaning business. These are actionable steps you can implement right now to start or improve a business. Ann Marie provided me with a wealth of information and asked questions that has me questioning some of my set up and procedures. Her questions and comments about what I currently have in place have me now wanting to streamline what I am doing, change forms and I really didn't realize I am working for the clients instead of finding and keeping clients that I desire to clean homes for. I HIGHLY recommend her coaching, even if it is to get a fresh look on something, if you're questioning methods or procedures. I will be reaching out to her again. I purchased the Business Box and everything else! I believe this has been a huge help to my Success!!! I want to thank you for all of your helpful information. I am in my second year since buying your guides in 2015 to building a cleaning business and I have seen continual growth and success. I have a much better quality of life now that I work for myself and you are the reason I decided to try it. Thank you so much, sincerely. I purchased a new computer recently and asked House Cleaning Pro to send me the download files from my original purchase. They were very friendly and helpful in processing my request. This is such a huge blessing to have all these documents on my iPad now. I use a lot of these forms on a daily basis and intend on using a lot more as my business grows. Ann marie and her house cleaning business manual has been the biggest blessing ever. I invested in the Business in a Box and couldn't have done it without all her knowledge, info and forms that come with it. I have researched several cleaning business start up websites and hers is by far the best. Thank you for turning this newly separated (3 yrs ago) broke, single mom into grossing $100,000 grand last year. And that was all before I got my company name and got everything legalized recently. I just got 2 company vehicles that I am about to get wrapped with my logo and business name so my goal is to double that income within the next two years or less hopefully. I think the reason I knew so much of the “cleaning” part was simply my age and having had my own home for many years (as well as my own cleaning lady). I know how much it’s taken to do this site! I wish you luck! And as I go, (regarding the business end of it) I know I will need ya! I didn’t throw my money away on this site! Yeah, it’s good to know, I’m not alone. God bless you all in your business. I love the mentoring that's included. It makes me feel like someone's got my back. In this business there are so many questions on whats right or wrong for business purposes. Most of us went from just making extra money on the side to wanting to turn it into a legitimate business. Now i have somewhere to go for info and help. The House Cleaning Pro has provided me with the information that I needed to have a successful cleaning business! Whenever I've got a question or a concern, I can usually find the answer that I need in The House Cleaning Pro. My many thanks; without this book I know that I would not have been as successful in as short a period of time. Reading your eBook gave me the feeling that I could do it and guess what - it's been less than 6 months and during the summer, too. I am now looking at hiring at least one part-time person. A must read for anyone considering their own cleaning business! I'm only a few chapters into your book but feel I'm learning a wealth of information already. I read a few other books and they had some good ideas also, but your book seems to get down to the nuts and bolts of things. It always helps to know at least some of the pitfalls there may be along the way! Your system is everything you said it would be, and more. Every chapter is superb. I'm on my third read. The forms and other extras are great; I am so excited. I was working in corporate finance for the past 7 years and not completely satisfied. I got a business/life coach and we put my background & my expertise (cleaning) together and decided I should start my own cleaning business. The only book I purchased was House Cleaning Pro. It covered everything I needed to know, including how to price my jobs, advertising, keeping track of new business. It was extremely helpful! Within two weeks of my first client I was completely full, then hired my first employee after a month. My employees range from 4-6. 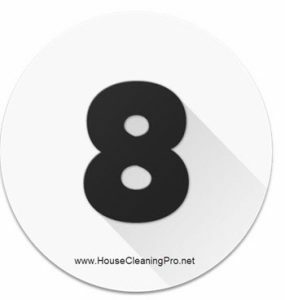 I can honestly say that reading the House Cleaning Pro it help me figure out the best steps. I'm not one to take high risk and it put everything into order so it wasn't a difficult change. There are things I need to improve on but my customers love my work & support me growing! Thank you for for being so detailed in the book & realistic. I purchased the HCP program back in 2006. It helped me form the whole outline for my business. I new what I needed to do from start to finish after reading it. I started out by myself cleaning houses and my accounts quickly grew. Before long I realized I could actually make a business of this. Early 2006 I found out I was pregnant. I knew I needed to move quickly to build the business as I would not be able to clean full-time any longer. Purchasing this program helped me make the right choices. I hired help and set the business up to run more smoothly. I grew the business from working by myself making $500.00 a week to 3 people cleaning making $2000 a week. I was able to accomplish this in just over a years' time. There was a lot of hard work to be done but it was much easier as I had the help of this program with coaching from Anne-Marie. I also loved it when HCP had the website set up for us to post questions and answers. I owe a lot of my success to this program!! Thanks HCP!! This is a well written ebook and all the other things included are also very valuable. There were good explainations of why to do certain things which I think is important. I liked all the info on marketing and the detailed instructions on how to clean and what to use. It was all very good information. I purchased the Business-in-a-Box - I think it is a good value for the money spent, especially with all the extra things that come with it besides the ebook. I am just starting an eco friendly cleaning business and thanks to House Cleaning Pro I think I am ready. I had a friend who has done professional cleaning before who was going to partner with me but bailed on me at the last minute and I had no clue what to do or how to do it until I found your site and purchased the full package. It has been a true blessing. I have been reading and studying for weeks now and have made all my own solutions and have my first house scheduled. All the work you put into this has been a life saver for me and I am sure many others. I just want to say thank you, thank you, thank you!!!! Ever since I downloaded HCP I took the time to print it, put it into a 3 ring binder, made it into a book and I literally carry it everywhere with me. I cannot stop reading it! Details are what I needed and you have everything from A-Z in there. I have to say I was going to give up on the business once my girlfriend bailed until I found you and HCP. You have given me the confidence and know how to do it on my own and my husband is much happier with me doing it without a partner. You haven given me all the tools I need and more to get my business going. My goal is to have 1 person hired by this summer and by the end of the year 2 people. My goal for next year is to not be cleaning houses any more but doing the business/running end. The HCP newsletters and the blog web site are a great tool to help me along my journey. I look forward to meeting other housecleaners and learning from them. Thank you for sharing your stories and letting us learn from you. I have read your book. It was great! It is just the information that anyone wanting to pursue any aspect of the cleaning profession should read before they ever venture out into the market place. I am constantly frustrated when I have procured a contract to clean a facility only to find that the cleaners don't know what they are doing. They don't have procedures in place, etc., etc. All the things that I have been urging these people to do, you have put into your book. Excellent Information!! I look forward to hearing more. I must say, the book is great and real. You've written all my questions and there is the answer. I'm so excited to go further. I've been working extremely hard already for the past four years. Thanks for your system. I'm learning a lot! I would say it is the KEY TO SUCCESS!!! I purchased the business-in-a-box to help me advance in the house cleaning business. It has been a god send and I was very fortunate to have found it. 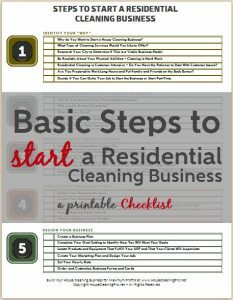 It has saved me a lot of head aches and helped me gain some much needed knowledge about how to run a cleaning service. Personal mentoring is offered and there is a blog site I have access to, at all times. I never feel I am alone in this business . I always have some where to go for expert advice. I even recieved professional forms with this package. It has been worth every dime I spent. Thanks HCP. HCP has helped me with all my tough questions & been there for me whenever I got frustrated. She spent alot of time helping me to be more organized & dealing with problem clients & situations I didn’t have answers for. Thanks so much! If anyone needs help with their house cleaning business you are the one they should go to for advice! 6 weeks ago I came from Russia and was desperate to make some money. I knew how to clean the house but I didn't know how to make income on it. I was skeptical about making an investment in this system but now I'm glad I did. I started following everything that book says and now, (after only 4 weeks) I already have 11 clients that I charge $25-30/hr making total of $540 a week working only around 20 hours. And it doesn't seem to stop here! This system is so valuable for residential cleaners. The forms alone are worth the total fee. Having the cleaning service-based forms as well as ready-made policies and procedures saved me so much time. Getting HCP's forms online was such a relief. When I started my residential cleaning business in early January '08, I relied on higher education courses to jump-start sales, marketing, HR, business plan, advertising, ethical dilemmas, and networking to name just a few responsibilities. This e-book gave me several ideas which allowed me to tweak my marketing pitch and, within 2 weeks, I increased sales. Her mentoring (included with purchase) has meant a great deal to me because she spent over 1 hour on the phone on a Sunday talking with me about current problems and resolutions. She reviewed my press release via email and gave me constructive feedback on how to improve my story. I feel I wisely spent my money on sales-oriented products authored by an experienced residential cleaning guru. She knows how to increase sales and is diplomatic with client handling. I highly recommend her products.
. By clicking below, you agree that we may process your information in accordance with these terms.